Government agencies that need to comply with DIACAP, FedRAMP or FISMA standards can now use the RightAnswers Unified Knowledge Platform in the Amazon Web Services (AWS) GovCloud (US) Region. RightAnswers, Inc., the #1 provider of cloud-based knowledge management and self-service solutions, has become an Advanced Technology Partner in the AWS Partner Network (APN). RightAnswers is available for immediate purchase via the AWS Marketplace. The Federal Government has mandated that its agencies should migrate to cloud-based software and services, to save costs on computer and networking equipment and maintenance and to enable faster deployment of computerized systems and services. RightAnswers on the AWS Marketplace allows government agencies to manage their knowledge and provide self-service while adhering to strict government regulations in the AWS GovCloud (US) Region. “By residing in the AWS GovCloud (US) Region, the cloud-based RightAnswers knowledge management platform is available to more government agencies. By moving to the cloud, agencies will reduce infrastructure and operational costs, something the U.S. government is eager for them to pursue,” explained Alan Demsky, Vice President of Federal Systems, RightAnswers. Government agencies are already using the cloud-based RightAnswers Unified Knowledge Platform to improve the service they provide. RightAnswers proactively prepares government departments for change, to keep pace with agency developments and new policies and regulations. The RightAnswers platform integrates seamlessly with their existing support systems, providing a deeper knowledge experience from the agent’s desktop. Government employees and citizens can quickly find answers to their questions, reducing the number of calls to the service center and decreasing call wait times. See our website for more information on RightAnswers solutions for the Federal Government or request a demo at http://www.rightanswers.com/request-demo/. RightAnswers is the #1 provider of cloud-based knowledge management and web self-service for optimizing customer service and IT support. Our 500 clients around the globe use RightAnswers seamlessly integrated with their CRM, ITSM or other customer service software, to provide stellar support experiences while saving millions of dollars a year. For more information, visit http://www.rightanswers.com. 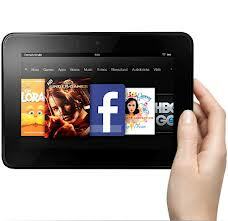 The Amazon online store today introduced a new discount deal for Amazon Kindle Fire HD 7.0. With the same, the customers planning to buy the same can get save $ 40 on the purchase. The tablet is one of the most sought after product of the modern times and if experts are to be believed, the same is likely to push the sales even further. Sources confirmed that the product is a quality offering with a range of features. The attractive price point makes it a perfect buy especially for those looking to buy their first tablet. When contacted, Adam, a representative of We Sell Tablet, a popular website for providing genuine reviews as well as discount details on electronic products said, The Kindle Fire HD comes with a number of tools and features that are unheard of in alternatives present in the market. The tablet is competitively priced as well. With the introduction of new discount, the deal just got a lot sweeter. Sources confirmed that the product is considered as world's most advanced 7 tablets. The device is first tablet with dual-band, dual-antenna Wi-Fi for over 35 percent faster downloads and streaming. It also boasts of a number of features simply unmatched by rivals including 1280x800 HD display with polarizing filter and anti-glare technology, 1.2 Ghz dual-core processor with Imagination PowerVR 3D graphics, and exclusive Dolby audio and dual-driver stereo speakers. It also offers the feature of integrated support for social sites including Gmail, yahoo, Face book and Twitter to name of a few. Some of the additional features of the device are front-facing HD camera, compatible stereo headphones, built-in Bluetooth with support for A2DP, headsets and built-in microphone. Peter from We sell tablet added, The experts of our company reviewed the product a few weeks back and were surprised by the offering. The detail review of the Amazon Kindle Fire HD 7.0 is present on the website and the customers of the device agree with the observations. We Sell Tablets is a Los Angeles company that started operations in the early parts of 2013. The site offers detailed reviews of different electronic products along with offering discount deals on them. Cognia, the provider of cloud communications services for compliance, risk and productivity, announces today that it has achieved QSA-validated (Level 1) PCI DSS compliance for its global platform, Cognia Cloud. Built on Amazon Web Services (AWS) infrastructure, Cognia Cloud is a unified solution for the control, capture and analysis of mobile, fixed-line and non-voice communications. Cognias PCI compliant services enable organizations to take voice-based payments, while removing contact center agents and infrastructure from the scope of their own PCI DSS assessment vastly reducing their compliance burden and exposure to risk. Curtis Nash, Cognias CEO, explains, Cognia is the first provider in the world to achieve QSA-validated compliance with PCI DSS as a Level 1 service provider for a carrier grade, global cloud telephony and payment services platform. Nash continues, This fundamentally changes the ease and flexibility and reduces the cost, with which organizations can achieve their own PCI DSS compliance. Because of the exacting nature of the PCI standard, until now, businesses wanting a PCI compliant telephone payment processing service have had a limited range of options which are inherently costly and complex to deploy and maintain. Other providers who claim to have a cloud-based solution often dont have the scalability and durability offered by Cognias application running on the global AWS platform. Iain Gavin, Director, Amazon Web Services says, We are excited by the news that Cognia has achieved compliance as a QSA-validated (Level 1) PCI DSS service provider, offering a solution running in the AWS cloud. By building on the PCI DSS compliant infrastructure of AWS, Cognia has been freed to concentrate on developing a highly secure, multi-tenanted global service for taking voice-based payments. The Cognia Cloud scales across all of AWSs regions and availability zones, leveraging the full advantages of elastic computing to support a range of customers from the smallest business to the largest multinational on a single global platform, with a pay-as-you use cost model. Andrew Dunn, Cognias CTO, comments, Using AWS enabled us to leverage their leadership in running an elastic and scalable global computing platform. However, achieving a fully compliant, multi-tenanted managed service was no small feat. The process involved mapping all parts of the Cognia Cloud against the PCI DSS controls to ensure that these requirements permeated its entire fabric, resulting in a number of security-based patents. Cognia were validated by security specialist Security Risk Management (SRM). Tom Fairfax, CEO of SRM adds, From the first meeting with Cognia we have been impressed by their technical competence, flexibility of thinking and willingness to embrace the information security discipline. They have consistently demonstrated an unflinching commitment to the security of the platform while ensuring it harnesses the revolutionary potential of cloud computing. In partnership with our assessors they have succeeded in finding innovative solutions to challenging information security issues and ensured that the Cognia offering really can deliver both compliance and business transformation. Cognia provides global communications services for compliance, risk and productivity. The companys secure global platform, Cognia Cloud, transforms the cost and ease by which organizations can control, capture and analyze voice and non-voice communications across distributed workforces, using any device, for competitive advantage. The company has offices in London, New York and Singapore. ThoseTechGuys.com expect the Amazon Kindle Fire HD to be discounted for Christmas to $ 159 according to a new report. The Cyber Monday special price of $ 159 for the new Kindle HD 7 could be experienced again by shoppers that purchase this new tablet online. ThoseTechGuys.com released a new report that details this price expectation online. The 1280x800 HD display is one of the selling points noted by those that have reviewed the new Kindle tablet. The first launch in September witnessed inventory sold out in less than 3 days. Most retailers received a restock of this tablet on November 18th in time for Black Friday. New stock levels are currently decreasing and no new shipments are expected before Christmas according to research. ThoseTechGuys.com revealed in the new report the price difference on Black Friday and Cyber Monday. Nearly $ 50 in savings plus the option of free shipping is the offer that consumers that purchased on Cyber Monday received. This discounted $ 159 price is expected to be exclusive to Amazon again before the holiday is over. Those Tech Guys are expected to update the new review and pricing report before the shopping season comes to an end. A team of writers, editors and researchers find the best pricing for technology related products and publish this information online. Those Tech Guys actively monitor the Amazon website and frequently publish last minute price updates for consumers. Those that have an interest in purchasing the Kindle Fire HD could find supply shortage online apart from this retailer that is noted to have adequate supplies on had to ship. The 2010 year was a year of creation and innovation for Those Tech Guys. This technology based company started reviewing and offering price incentives to consumers that searched for low priced deals online. In just 2 short years, Those Tech Guys online have created one of the most respected resources to find sale prices and reviews written without bias. From consumer information to general product likes and dislikes, Those Tech Guys online continue to help men and women find online deals through http://www.thosetechguys.com. Start-up publisher Colossi Ltd. and author James Williamson have just released the first instalment of Williamsons new book, Senpai: The Tale of the Gallant Dandelion, which is now available on Amazon Kindle, and on smartphones and computers via the free Kindle app, or free Amazon Cloud in-browser reading. The book is a re-imagining of a Japanese folk tale but with western appeal. Each section of the book is being released serially in quarterly instalments and this first instalment is the prologue, three chapters and accompanying illustrations. The next instalment is due out on January 31st, 2013. Williamson has created a magical tale of self-discovery and of finding the courage to live ones dreams even through devastating loss, which is mirrored somewhat in both his characters and own personal journey. Senpai: The Tale of the Gallant Dandelion tells the story of Senpai, an orphaned girl and young Shinobi in training who begins a journey to find her legendary father after receiving a clue to his whereabouts from her mother. Her father is a legendary folk hero named Jiraiya, popularized and re-imagined most recently by the Naruto Franchise. During Senpais journey to locate him, Senpai travels through a world of Japanese myth and legend and in the end discovers that she was meant for much more than anyone ever anticipated. James Williamson is very connected to this theme of struggling through loss to reach goals because Senpai comes just after the depression of his fathers death. For Williamson, his father was his greatest motivator, confidante and friend who provided years of encouragement as James forged ahead with his desire to write screenplays. Williamson's dream actually started to gain momentum in 2005, when he travelled to Los Angeles and pitched his work to numerous reputable agencies and studios in the entertainment industry. Upon his return to the UK with a host of positive avenues to pursue, James was awake at still writing at 4AM, when his father came downstairs and suffered an aneurysm in the kitchen. Within a matter of hours after getting to the hospital my father couldn't actually recognize me any more he thought that I was my older brother. It was very surreal. By the time the hospital worked out it was an aneurysm, James father was in a coma and being kept alive by machines. His father was raced to the National Hospital for Neurology, in London, and into the operating theatre. Months of unconsciousness and intensive care took an awful toll on both his father and his family, who opted to care for him at home when he was able to be discharged in 2006. James father then suffered two battles with recurring throat cancers and passed away in January 2007. Williamsons writing went from an average of five pages a day to zero, almost overnight. When his confidence completely collapsed, James took his fathers final request -- to look after and provide for their family -- to heart. He secured a reasonable job that covered the family bills, but inside James was secretly devastated that he was no longer able to pursue what he loved doing with the same fervour. Over the next few years, Williamson sunk into a quiet depression. As the 2008 banking crises escalated for people around him, James was wholly cold and unresponsive to it, and it seemed to give him the perfect cover to not admit his real feelings. Everyone around me was glum and downtrodden because of the banking crises. It was very easy to blend in and not have to answer to anyone about my problems or why I seemed so down. And to be honest, at the time I never really knew I actually was depressed. Its only when you get out the other side that you can look back and identify that something was actually wrong. One day though, Williamson reached the end of his tether, and it was in this moment that he fully realized the nature of his father's request. His main motivator and constant encourager would not have wanted him to give up on his dreams and he then started the long and infuriating journey of reawakening his imagination, which led to Senpai. With a new-found yet shaky confidence in himself, the key people that James needed seemingly aligned along the way, Williamson was able to build his confidence from the ground up again and now celebrates the release of his first major work, a powerful character and story that is destined to find a home in the hearts of many readers. Almost every page emits the kind of insightful narrative that can be imagined by anyone, but is deeply understood by someone who has lived through such hardships and personal loss themselves. The next phase of Williamson's life and writing career is ahead of him once more. And James is open to whatever might come. I am extremely proud of what I've achieved up until this point. Anything beyond here is merely extra. I will not rest until the story of Senpai is finished, and at the moment, we have six books outlined. After that, in 2015/16, who knows, I may take some time off and see whether another character and compelling story comes through me. And also I want to help others also live their dream of publishing. Williamson is proud to dedicate Senpai: The Tale of the Gallant Dandelion to his father and those interested in learning more about Williamson and Senpai can visit his website. Those who want to purchase the first instalment of this magical book can find it on Amazon.com. The book is available even for those who dont have a Kindle as Amazon has released a Kindle app for the iPad, iPhone, iPod, Blackberry, PC and Mac, and can even be read in-browser. Senpai, Tale of the Gallant Dandelion is edited by Morissa Schwartz and illustrated by Kathryn Lopez. Code Creator, a leading Connecticut based high tech software and SaaS (software as a service) developer announced 5 new servers are now available on Amazon Web Services Marketplace (AWS Marketplace), providing a convenient, fast way to locate, purchase and immediately start using application services on Amazons cloud. Amazon Web Services serves hundreds of thousands of customers and in 190 countries. Many companies are migrating to the cloud and our servers make it practically effortless for users to install pre-configured cloud application servers and launch them instantaneously removing the technical process and time allotment needed for each new machine, said Michael Labieniec, Chief Information Officer of Code Creator. We also offer technical support and services that many cloud developers need. Amazon and Advanced Realty Team, Inc. will hold a special promotion for homeowners who need to sell a house fast, providing then with a free copy of How to Sell Your House Fast to the We Buy Houses Guys without Being Eaten Alive, it was announced yesterday. TechCrunch recently reviewed Venture Capitalists At Work full of tremendous insight for budding entrepreneurs and business students. Silicon Valley is once again floating with capital and venture capitalists are looking for that next big Facebook idea! What better way for entrepreneurs and startup enthusiasts than to get into the minds and hearts of these Venture Capitalists. Venture Capitalists At Work: How VCs Identify and Build Billion-Dollar Successes by authors Tarang and Sheetal Shah provides an insightful and expansive look at technology venture investing. Drawing upon the authors tenure at global venture firm SoftBank Capital and world-class network of entrepreneurs and investors, Shah presents 35 in-depth interviews with well-known investors such as Roelof Botha at Sequoia Capital, Mike Maples at Floodgate Fund and George Zachary at Charles River Ventures. These interviews gives readers a 360-degree view on the startup building process, operational insights shared on Zappos, Chegg, Zoosk , Tellium and many more. Author Tarang Shah and Sheetal Shah give the 5 Must-Know Tips for Entrepreneurs! 1. Big & Bold Idea. Go after unconventional, game-changing ideas. Dont be afraid of being contrarian. In fact, the riskiest ideas are often the ones that most people believe will succeed. 2. A.I.M. (Authenticity, Integrity, and Motivation). These are three personal characteristics key to your success. As Venture Capitalists at Work shows, authenticityputting in the time and effort required to really understand the marketoften separates billion-dollar successes from common failures. Evan Williams gained authenticity, for example, in his earlier blogging start-up. This gave him the insight and passion to start Twitter when most people thought the future of blogging was multimedia blogging and not 140-character microblogs. Lead with integrity in your interactions with customers, investors, employees, and partners. .
And most importantly, search your true motivation and go after solving problems that you feel genuinely passionate about. Pay close attention to the first 10-12 people you hire, because they determine the cultural DNA of your company and, in turn, its success or failure. Dont settle for anything less than A+ candidates. Hire for cultural fit as much you hire for functional skills. 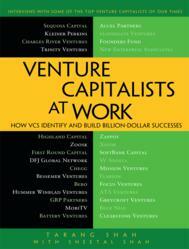 As you read Venture Capitalists at Work, you will find that Facebook, Twitter, YouTube, Groupon, etc. are great examples of start-ups that placed a premium on hiring well. 4. R.I.P. (Rapid Iteration & Pivot). Launching a start-up is a race against time. Run at extremely high RPM to iterate product ideas and pivot to better ideas rapidly until you land the right product-market fit. Failed companies often cling to the original idea, while successful ones learn from their customers and refine or change products often. Be passionately disinterested and brutally honest about everything that matters. And then act on it. As investor Gus Tai explains in Venture Capitalists at Work, being passionately disinterested means to actively and objectively seek out the truth without being afraid of or predisposed towards what you may find out. What is your customer really telling you about your product? Is the market really developing? Do you really know how much better you are than your competition? Venture Capitalists at Work shares stories from top venture firms and entrepreneurs and analyzes more than seventy billion-dollar success stories like AdMob, Angry Birds, Bebo, Blue Nile, Chegg, Dropbox, Eventbrite, Facebook, Flarion, Groupon, Hyperion, Huffington Post, LinkedIn, MobiTV, Opower, Overture, PayPal, Starent, SpaceX, Twitter, Xoom, YouTube, Zappos, ZocDoc, Zoosk, and many others. Tarang Shah is a venture capital professional. At SoftBank Capital, a venture capital fund, he helped with start-up investments totaling $ 50 million. He has reviewed 1000+ start-ups and served as a board member and CEO advisor for over a dozen start-ups. Tarang is currently a technology innovation executive for one of the largest financial institutions in the US, where he has built and leads a start-up risk assessment practice based on his venture model. Apress Media LLC is a technical and business publisher devoted to meeting the needs of IT professionals, software developers, programmers, and business leaders with more than 1,000 books in print and electronic formats. Apress provides high-quality, no-fluff content that helps serious technology professionals build a comprehensive pathway to career success. 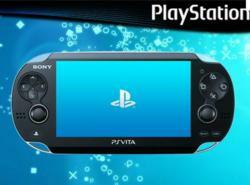 While it may not have been launched in the United Kingdom yet, the new PlayStation Vita handheld games console from electronics giant Sony is already selling strong with online retailers. The Wi-Fi only 8GB device has gone straight to the top of the bestseller chart on Amazon.co.uk based solely on pre-orders, with the hi-tech console receiving rave reviews in Japan. Before it had chance to hit the shops the console itself, games and accessories featured in the top 20 video games pre-order charts, which shows how highly anticipated this gadget is. "14 of the top 20 positions in our video games pre-order chart are held by the PlayStation Vita console, games and accessories, which clearly illustrates the level of excitement that we are seeing around the product. "The release of a console is always big news and the buzz created around the new technology and enhanced gameplay has ensured that the PlayStation Vita is a bestseller in our charts before it has even been released." The powerful product was released at the end of last year in Japan and is set to be the must-have gaming machine of 2012, so if you are into your video games, then it may very well be time to go online shopping. When you buy the latest technology through the internet you can usually make use of promotional codes to save you money. Even with the most up-to-date products you can sometimes get discount vouchers from top retailers to spend in their online store. Bioproximity is pleased to announce their Proteome Cluster platform has been selected by Amazon Web Services (AWS) for a case study in the use of high performance computing. AWS permits Bioproximity to deploy dedicated Proteome Cluster servers for each client. Unlike shared computing grids, each Proteome Cluster server is capable of simultaneously launching multiple, dedicated, high-performance Message Passing Interface (MPI) compute clusters on-demand. Each cluster is dedicated to the analysis of a single search, after which it shuts down. This provides clients with the resources needed to rapidly and efficiently analyze large-scale proteomic data sets. These data sets typically comprise millions of sequencing events, each of which must be queried against all possible peptide forms with similar mass. The ever-increasing sequencing rate and sensitivity of mass spectrometers indicates that the requisite computational needs will grow hand-in-hand. Each MPI cluster consists of one master node and a user-specified number of slave nodes using “Cluster Compute” instance types. Each node possesses two quad-core Intel Xeon CPUs. Independent clusters are launched by the user after specifying search parameters and the tandem mass spectrometry data files to be searched. Protein sequence libraries stored on Amazon S3 and user-specific input files stored on Amazon EBS are sent to the cluster. Following search completion the results are sent to the user’s dedicated Proteome Cluster server and the cluster is shut-down. Efficient, on-demand usage of computing resources minimizes costs and allows even very large data sets to be analyzed cost efficiently. Because multiple clusters can be launched simultaneously it is possible to search multiple data sets using multiple search algorithms in under an hour in many cases. Proteome Cluster currently supports four tandem mass spectrometry search algorithms, with support for additional algorithms planned in the near future. Proteome Cluster also helps to enforce good scientific practices. Custom search parameters are saved by the user and may be downloaded and shared with other members of the scientific community. As search parameters are modified they are versioned so that a search is always linked to the parameter file used. Tandem mass spectrometry (peak list) files are also maintained and associated with all of the searches for which they were used as inputs. These may also be downloaded and shared. The protein sequence libraries are available to the public on Amazon S3. This permits others to faithfully reproduce results obtained using Proteome Cluster. Proteome Cluster eliminates the need for mass spectrometrists to buy or maintain computing hardware dedicated to tandem mass spectrometry searches or to install, configure or upgrade software. Because Proteome Cluster is a web-based application, improvements and upgrades are deployed continuously, behind the scenes, without any need for user involvement. Simple, annual pricing plans are available. Learn more about Proteome Cluster here. Or visit us at Experimental Biology 2011 in Washington, DC for a demonstration. Proteomics is the study of proteins. Shotgun proteomics is a method for identifying and quantifying proteins and has been optimized by the scientific research community to permit near-global profiling of almost any sample. Using modern methods and instrumentation, many thousands of proteins may be routinely identified at levels approaching picogram quantities. Shotgun proteomics is currently used in a wide variety of applications, from discovery of biomarkers for disease diagnosis and prognosis to quality control of bioprocessing pipelines in the biotechnology, energy, food and pharmaceutical industries. At its essence, shotgun proteomics consists of using an enzyme to digest proteins into peptides which are then sequenced by fragmentation in a tandem mass spectrometer followed by matching of the fragmentation pattern against protein sequence libraries or libraries of experimental spectra. Shotgun proteomics applications typically require a sequenced genome for the organism of interest. As the genomes of more and more organisms are sequenced the applications for shotgun proteomics are similarly increasing. Bioproximity is a contract research organization founded in 2008 specializing in protein analysis and informatics. Bioproximity offers its clients a broad range of shotgun proteomics services customizable to suit an ever-expanding array of applications. Bioproximity’s clients include academic researchers and companies in the biotechnology, energy, healthcare and pharmaceutical industries.